With everything you have read, do you think you will try using Peppermint instead of traps or poisons? Give it a try! I think you will be pleasantly pleased with the results you will get. If you can't find Peppermint oil in your local retail store, take a look at what they have on Amazon by clicking here. When you have a mouse problem and your not crazy about using traps to get rid of them, you may want to try using Peppermint instead. I didn't know this trick until recently, but once I tried it and saw the incredible results I began to receive, I just had to write a post about it so that anyone who is experiencing a problem with mice in their house, can benefit from this simple tip. All my life, I have struggled with the occasional mouse in the house. I live in PA where the winters are cold, so as soon as the season begins to approach - a mouse or two will manage to make it inside my house. I have tried several different remedies to get these mice out of my house, from regular traps to live traps, and my absolute LEAST favorite ..... the infamous sticky trap. Ewwww. Thus began my search online to find a more humane way that will keep me happy and the mouse alive. I heard somewhere that you can use Peppermint to rid my home of these critters once and for all. Peppermint Oil for Mice? Sounded too simple, but I had to try it, and I have to say.... This stuff works wonders!!!! Peppermint's aromatherapy properties are great for humans BUT mice absolutely HATE it. In close proximity, it could actually burn a mouse's nostrils, so they try to stay as far away from it as possible, and will quickly evacuate your house when you begin to use this Peppermint trick. Simply apply Peppermint oil to a few cotton balls and place them in a strategic area where mice generally travel and seem to be nesting. Presto! That's it. The Peppermint will make your house smell good, and the mice will rush their way out of there. For larger problems and bigger infestations (or even as a preventative), put a few drops of into a spray bottle and dilute with water. Spray areas around your home, inside and out, and it soon any kind of mouse problem that you previously had will be a distant memory. 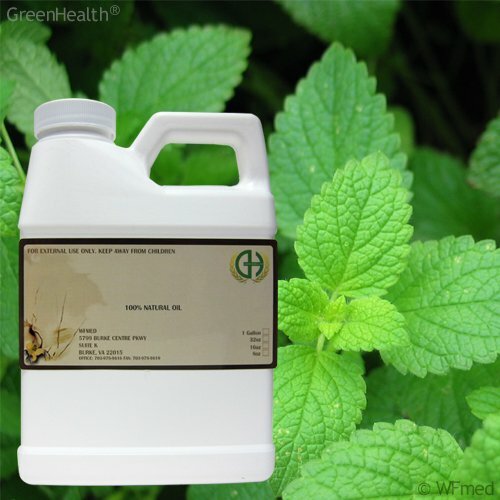 Peppermint oil is very affordable. I purchased mine from Amazon. From the research I completed before purchasing mine, I heard that you can use any brand of this oil, but it has to be 100% - you CANNOT use an extract. How Well Does Peppermint Oil Work For Getting Rid of Mice?